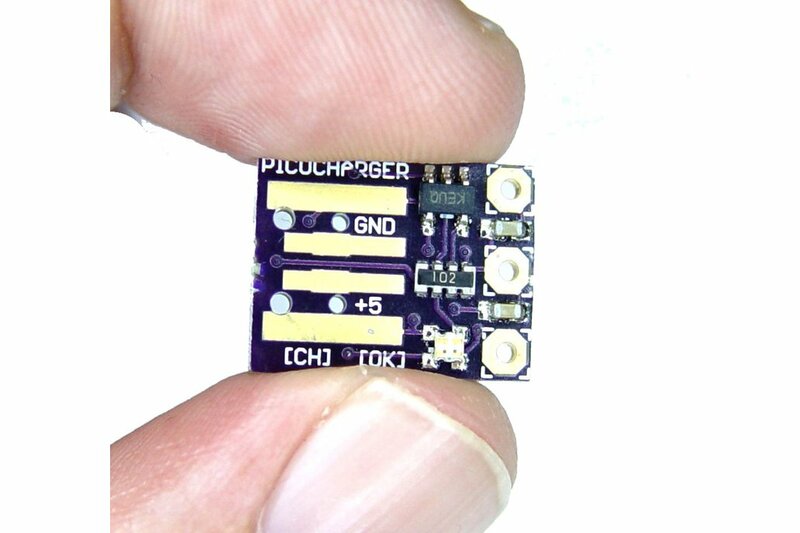 This is the tiniest (12mmx15mm) little lipo charger, so handy you can keep it any project box! Its also easy to use. 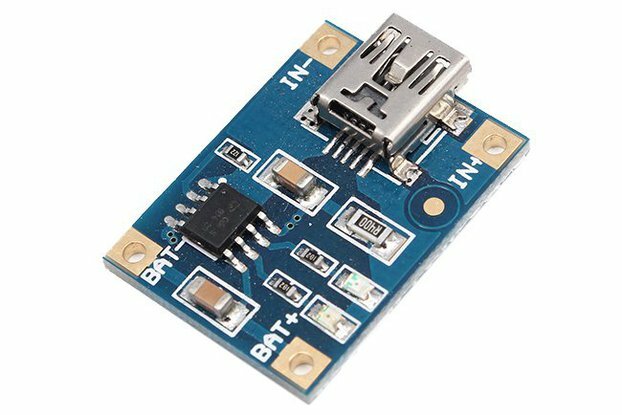 Simply plug in the gold plated contacts into any USB port and a 3.7V/4.2V lithium polymer or lithium ion rechargeable battery into pins other end. There are one two color LED - While charging, the red LED is lit. When the battery is fully charged and ready for use, the green LED turns on. Seriously, it could not get more easy. Charging is performed in three stages: first a preconditioning charge, then a constant-current fast charge and finally a constant-voltage trickle charge to keep the battery topped-up. The charge current is 500mA. For use with LiPoly/LiIon batteries only! Other batteries may have different voltage, chemistry, polarity or pinout.